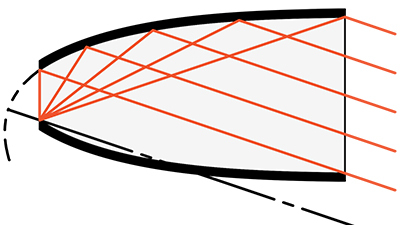 Electroformed compound parabolic concentrators are used to efficiently collect and concentrate light from a distant source. Optiforms fabricates hollow CPC’s using electroforming technology. 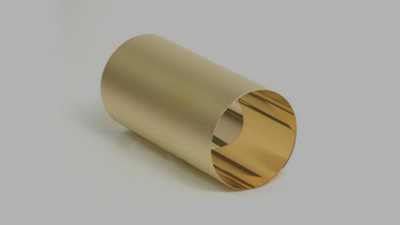 The substrate would be Nickel with a specular internal surface. The advantage to this is that the light energy does not need to pass through the surfaces of glass upon entrance and exit. See design considerations for manufacturing electroformed components. CPCs are commonly used in solar energy collection, fiber optics, biomedical and defense research, or other applications that require condensing of divergent light sources. 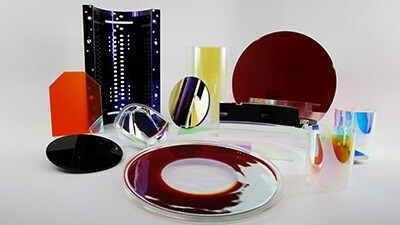 These non-imaging components concentrate light rays that are not necessarily parallel nor aligned with the axis of the concentrator. Optiforms manufactures compound parabolic concentrators to your desired specification.